Hundreds of people take to the streets in Mashhad, blast President Rouhani during protest against high prices and unemployment. Hundreds of people on Thursday took to the streets of Iran's second largest city, Mashhad, as well as other towns to protest high prices and unemployment, AFP reported, citing a reformist media group. The protests were mostly directed at President Hassan Rouhani's government, the Nazar media network reported. "The demonstration was illegal yet the police confronted them with a lot of tolerance," Mashhad governor Mohammad Rahim Norouzian said, according to the semi-official ISNA news agency. He added a number of people were arrested for "trying to damage public property". 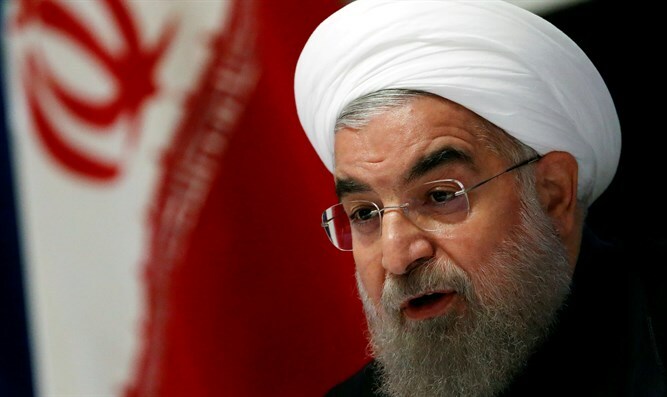 Rouhani, who is touted as a “moderate” reformist, won a second term in office last May thanks in part to his promise of rebuilding the economy, shattered by years of sanctions and maladministration. While he has succeeded in bringing inflation down to single digits from highs of more than 40 percent under his predecessor Mahmoud Ahmadinejad, the economy is still struggling from lack of investment, with unemployment officially at 12 percent and likely much higher in real terms. Before the May election, Rouhani came under fire from his hardline opponents over his failure to revive Iran's stagnant economy. He fired back, saying their era of "violence and extremism" was over. Under Rouhani's presidency, Iran has set new records in the number of executions, many for political or religious "crimes". He has also done little in the way of freeing reformist political leaders who were jailed after protesting the 2009 election.